My FF50th and Motorsports pages are getting a lot of interest. Would you like to be out there instead of watching from the grandstand? This is the first is a series of blog posts on how to get started in racing. I am going to write from the perspective of Formula Ford and club racing because (1) that is what I have been doing recently and (2) you likely found my website through an interest in Formula Ford and the FF50th. 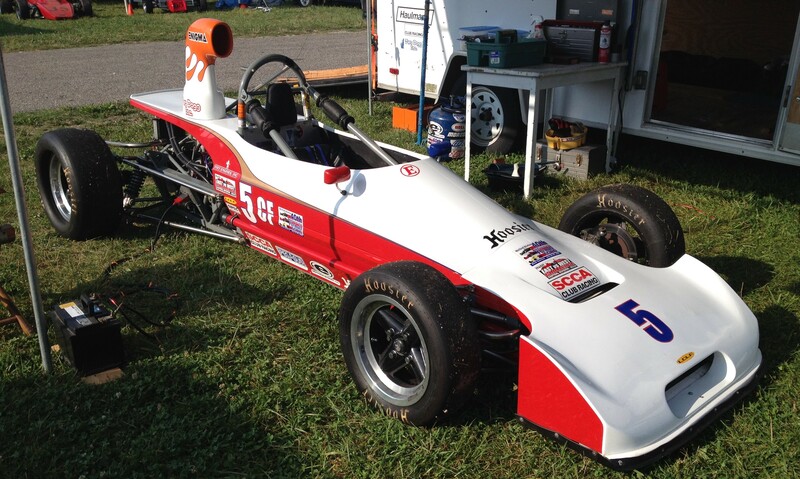 In any event, racing is racing so the requirements to support a small formula car will extrapolate to whatever race car you are interested in sitting in. The organization and effort required to put a race car (safely) on the track is considerable. It is a big hill, but not Mount Everest. Anything can be completed on time if you start soon enough. Preparing a race car and transporting it to the race track is a challenge that provides (as least to me) almost as much satisfaction as the seat time. How to get started in racing is a big topic across multiple dimensions. A race car, of course, is an obvious requirement. Safety equipment (helmet, HANS, fire suit, underwear, gloves, shoes, etc) and a competition license are also needed. If you choose to race your own car (as opposed to renting one from a prep shop), then you must maintain and transport it. I will focus on this dimension of how to get started in racing by retracing my steps to resume driving after a long break (17 years!) to do the dad thing for three little girls. There is a lot to more to racing that driving the car….